Sunline has produced braided line since 1992. 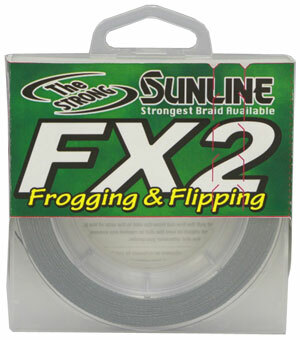 Since that time, Sunline braid was only available in the US to its professional fishing staff. In 2011, that all changes with the addition of Dean Rojas and a new braided product specifically for the US market. Dean is known as the best frog fisherman on the planet, so Sunline went to him to help develop a braided line that would be perfect for frog fishing and flipping. FX2 was created specifically for these two power techniques that require a premium braid product.